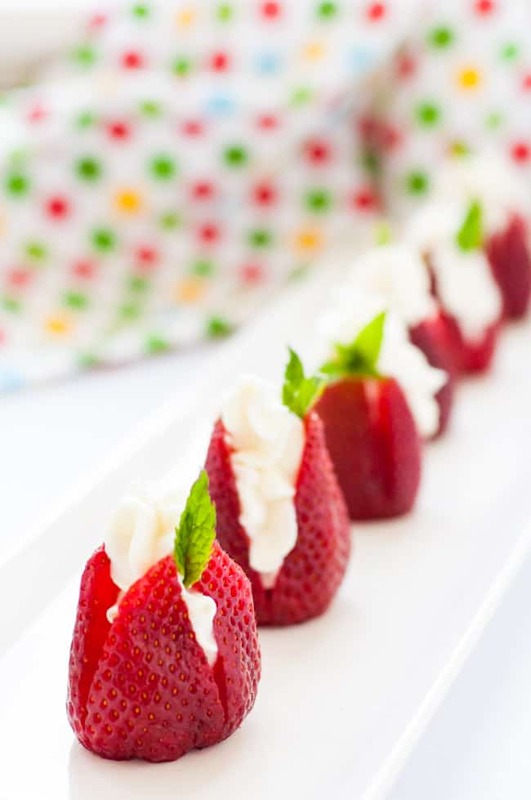 Sweet Goat Cheese Stuffed Strawberries make an easy appetizer to celebrate strawberry season. 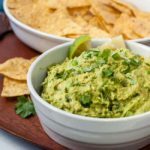 You only need 4 ingredients and 5 minutes to whip these up. 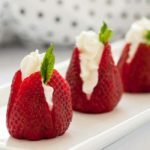 Top with a fresh leaf of mint or basil and devour these Sweet Goat Cheese Stuffed Strawberries right away. They’re perfect when paired with a crisp, dry rosé on a sunny evening! 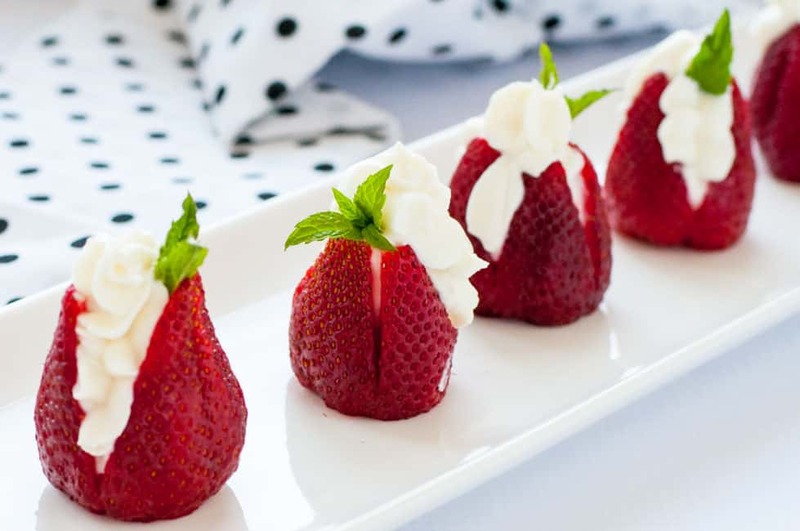 Market-fresh strawberries and creamy goat cheese pair up to make a quick snack, appetizer, or even mini dessert, ready in five minutes. They’re naturally sweet, but tangy goat cheese gives them a savoury aspect too. Slice a strawberry almost all the way through. 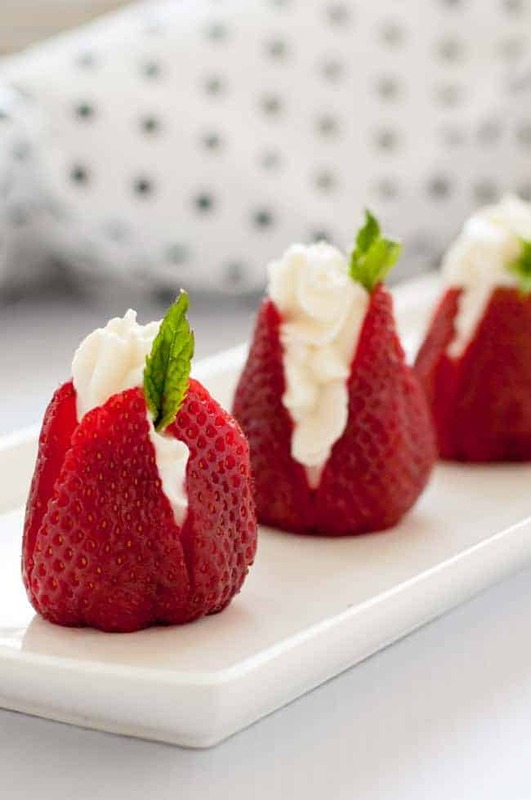 Use a piping bag and a frosting tip to squeeze the sweet goat cheese-yogurt mixture into the centre of the strawberry. As long as the Greek yogurt you are using is thick, the goat cheese mixture will keep its shape. Garnish with a mint leaf, and refrigerate until serving time. 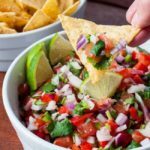 So easy, and so good! We’re in Tuscany right now, and the markets are full of strawberries. Chèvre miel, or goat cheese with honey, was a favourite find in the French markets last week. 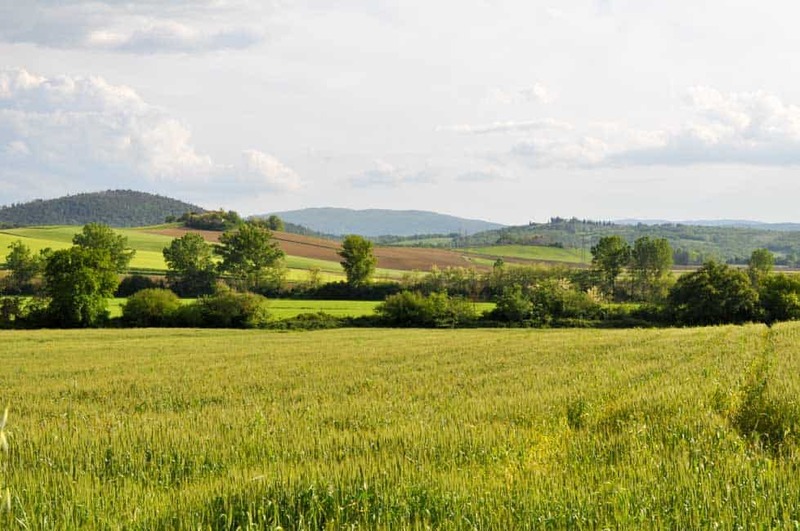 If you’ve been to Tuscany, you’ll know that the countryside views are beyond spectacular. I’m forever asking Denis to pull over so I can take a photo. This photo has a special memory–I stepped out of the car and directly into a patch of tiny strawberries and fresh aromatic mint growing wild at the edge of the road. Strawberries, goat cheese, and mint. In Tuscany. Does life get sweeter than this? 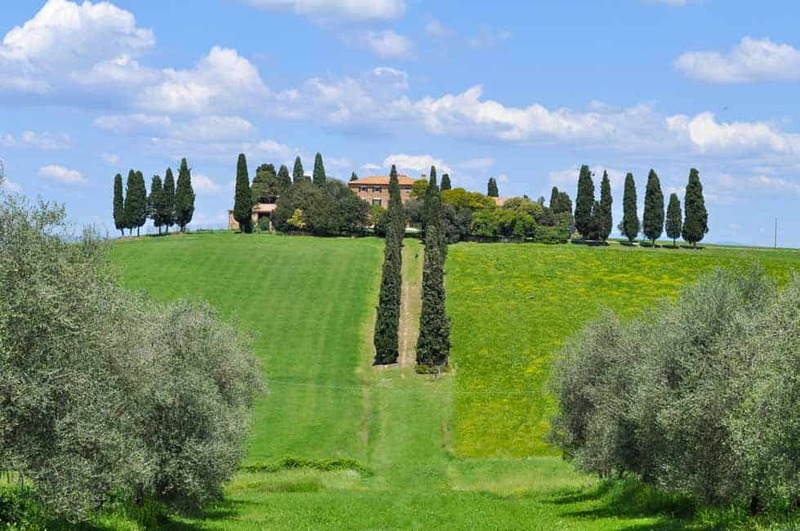 Here are a few more photos of this stunningly beautiful region of Italy. 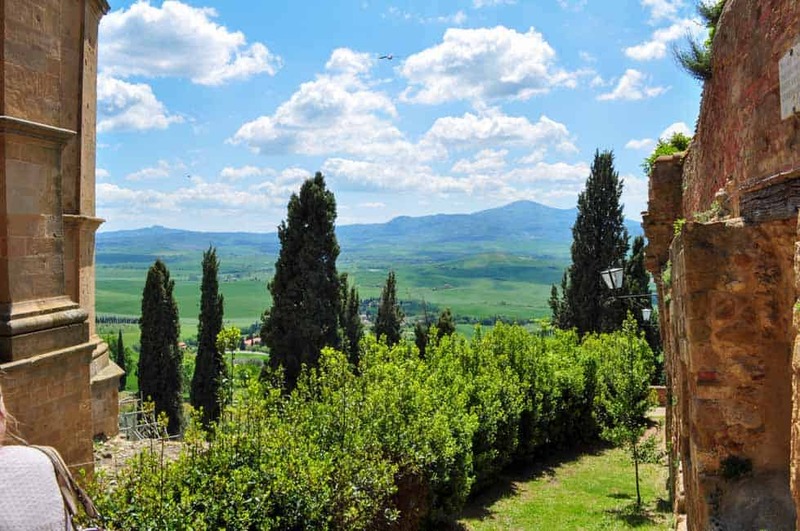 And if Tuscany is on your bucket list, read about our experiences Traveling in the Heart of Tuscany. 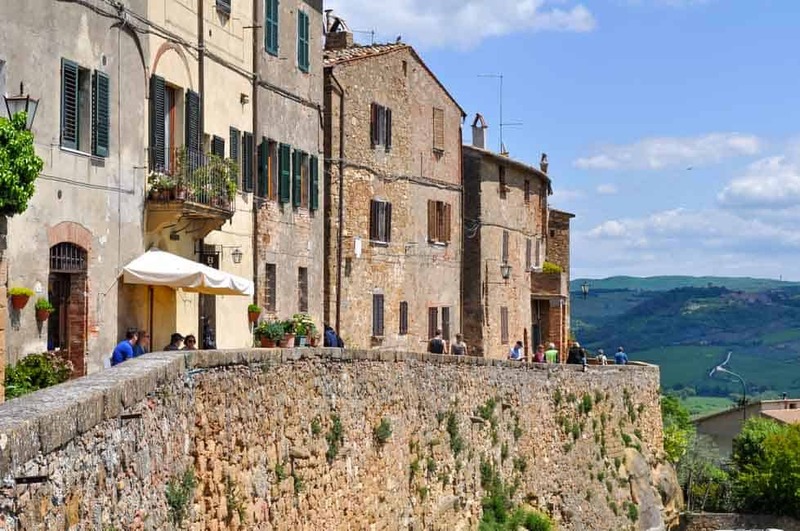 You might also want to check out our 10 Tips for Driving in Italy. Strawberries are my favourite berries and I’m always disappointed to see how quickly they spoil. 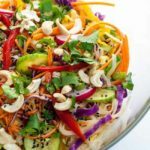 I’ve found a few ways to keep them fresh a little longer. First, don’t wash them until you’re ready to use them. They absorb water readily and that seems to make them spoil even faster. Leave the stems on for the same reason. To destroy any spores that may make them spoil, put them in a mixture of vinegar and water (3 parts water to 1 part vinegar) then rinse and thoroughly pat them dry. Store them in the refrigerator on paper towels. There are so many ways to enjoy these berries: like this Strawberry Chia Smoothie Bowl, my favourite Strawberry Kale Salad, this Skinny Strawberry Rhubarb Parfait, or this beautiful Gluten Free Lemon Almond Cake with Strawberries. Get them quick, before they’re gone! Wash and dry berries. Remove stem and trim the stem end of the strawberry so that it will be level when sitting upright. Slice from tip towards stem (without cutting all the way through) in half and then in half again. Whip the goat cheese with the Greek yogurt and honey and spoon it into a frosting bag (or make a ziplock bag into a piping bag). Using a decorating tip, pipe the goat cheese into the centre of each strawberry. 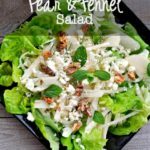 Top with a fresh mint leaf and serve immediately. Strawberries are on the Dirty Dozen list, so you may want to consider only buying organic. I can’t wait to go to Italy some day! Goat cheese is one of my favorite cheeses, and combined with honey and strawberries – you can’t go wrong with that!